The Project to Get Inspired With and Decorate Your Home. When in doubt, choose mid-century lighting. The mid-century modern era is really in and now, when you need to have some type of enlightenment, just choose the best lighting designs there is! With some of the most unique interior design we’ve seen, you won’t be disappointed once you see it. The mid-century lighting is visible in this interior design project throughout the whole space. The take on the lighting scene was taken very seriously and without a doubt, the best of the lighting designs were chosen. In one of the most iconic parts of the house interior design: the bedroom. It presents the most intimate and carefully chosen decors and with that, one of the most attentive decor. The use of a modern floor lamp as the chosen lighting was one of the special parts of the project. Bringing direct light to the part of the room while maintaining style is a feature worth of applause. The mid-century furniture was one of the other particular aspects that caught our eye. With some of the most amazingly chosen furniture, the room decor just shines even brighter. 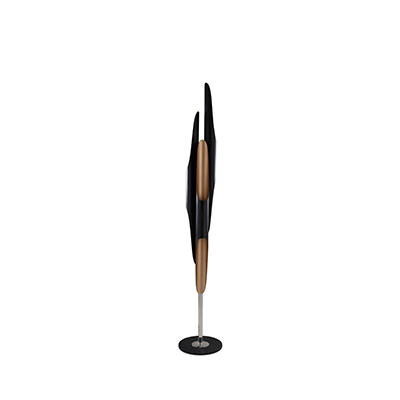 The use of modern floor lamps in the living room design bring a delighted luxury touch to the whole decor. 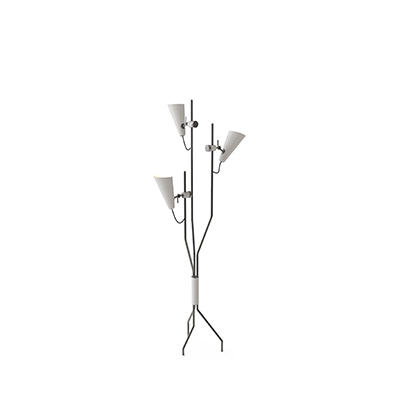 With some of the most beautifully chosen floor lamp, it just fits the whole room. Stardust floor lamp is a mid-century modern revolving lamp that was inspired by the stellar orbits. The main goal of this lighting design is to light up your mid-century modern home just like the constellations do it at night. Constructed out of brass tubing into a rounded oblong shape, this modern floor lamp will shine brightly due to the light cast by the bulbs arranged in the same way as a candelabra. Ideal for a mid-century modern dining room and a vintage living room, this gold plated floor lamp will bring an astral beauty to your space.